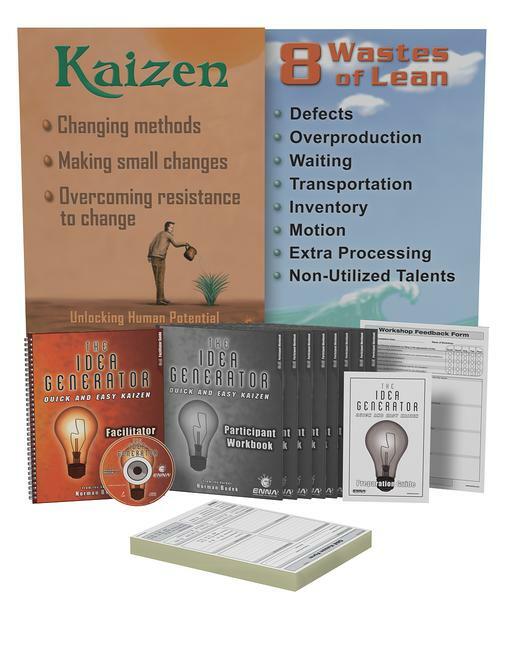 Quick & Easy Kaizen is the most effective and powerful way to implement a practical and sustainable employee-led improvement system by encompassing the often-ignored, human (employee) side of Lean manufacturing. Ennaâ€™s Quick & Easy Kaizen is authored by Norman Bodek and made popular by his award winning Shingo Prize book, Quick & Easy Kaizen: The Idea Generator. This training package recognizes that the employee performing the work is the expert concerning his/her job function and should be given the power to make changes to his/her work environment. Quick & Easy Kaizen trains employees to be responsible for improvements on a daily basis.